Most corporate legal teams will spend the same or more on external firms in 2015 according to newly published data. The IMPACT Benchmarking Report from Huron Consulting reveals that across all revenue sectors 43 per cent expect to keep spending the same in the next 12 months as in the previous 12 months; 33 per cent expect to spend more; while 24 per cent are planning to cut spending. The figures vary depending on revenue sectors with those firms with revenues above US$10 billion forecasting a 40 per cent reduction in spending while in those with revenue below US$2b just 13 per cent expect lower spending. Even where cuts are predicted many firms are planning to make savings through cost management programs and alternative billing. Greater use of technology and ‘big data’ is also featuring more prominently in legal departments; again the driver is efficiency and cost-savings. Australian law firm HWL Ebsworth Lawyers has announced that the team from Lawson Smith Lawyers will join the firm's Adelaide office on 19 January, 2015. The partners joining HWL Ebsworth will be Richard Smith, Michael Tilley, Anthony Hillary, David Johns, Michael Ricketts and Anna Jackson. The new partners will be joined by a team of 10 legal and support staff. Eversheds has formed two new regional alliances to give a more structured approach to its partnerships with local firms while keeping the arrangements non-exclusive. Eversheds Asia-Pacific Alliance will include 20 firms across 41 jurisdictions including Australia with plans for greater expansion. Meanwhile, the Eversheds Latin America Alliance will cover Argentina, Brazil and other South American territories. Clifford Chance is facing a claim for professional negligence over its handling of a dispute involving Iraqi oil rights. 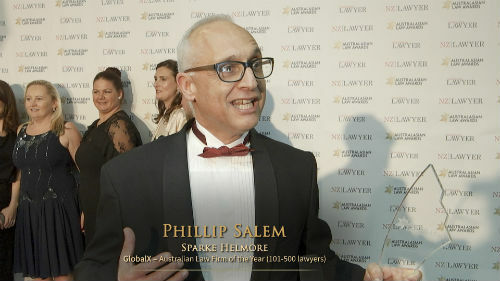 Greek shipping tycoons The Lemos family are bringing the action through law firm Withers, over their funding of litigation which ultimately saw them saddled with the defendants’ costs of £13.75 million (AU$ 25.69 million) in 2013’s high-profile Excalibur case. Clifford Chance has not made any comment. Australia and New Zealand have lost some ground in Transparency International’s latest Corruption Perceptions Index. Last year New Zealand was deemed to have the least amount of corruption in the public sector out of 175 countries surveyed but this year it has slipped to second place with Denmark taking the top spot. Australia was 9th last year but down to 11th in 2014. Elsewhere in the region, Hong Kong and Singapore have both slipped slightly while Japan has gained trust. China has dropped 20 places to 100 in the rankings and has responded with claims of bias towards westernised nations. North Korea and Somalia are deemed to have the most corrupt public sectors. The index has been running for more than two decades and is seen a useful marker for businesses looking to operate in particular jurisdictions.